(CN) – Environmental lawyers say a comprehensive climate change report released by 13 different federal agencies will provide substantial assistance to plaintiffs in major climate change litigation currently pending in the federal courts. Philip Gregory, an attorney for a group of children who have sued the federal government in court for ignoring the perils of climate change, said his side will submit the latest report – called the Fourth National Climate Assessment – as evidence in Juliana v. United States as soon as possible. The climate assessment said the United States will suffer widespread and significant economic and environmental damage unless significant and sustainable steps are taken to curtail greenhouse gas emissions. 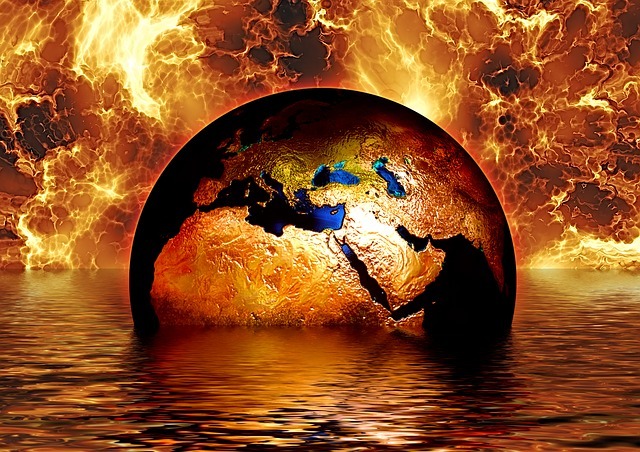 Experts noted the discrepancy between the conclusions of the federal agencies who produced the congressionally mandated report and the policies of President Donald Trump’s administration, which has sought to dismantle many of the climate change-related policies of his predecessor. Most believe the report will weaken the Trump administration’s case for gutting climate change regulations – and boost the legal chances of those fighting the administration’s efforts in court. Gregory is counting on it. His clients want a federal judge to mandate a comprehensive federal response aimed at curbing greenhouse gas emissions using techniques that align with the recommendations in the climate assessment, which the Trump administration tried to release quietly on Black Friday – days ahead of schedule. The report offers three principle solutions: putting a price on greenhouse gas emissions, establishing strict regulations on how much greenhouse gas emissions companies can produce and increasing government spending on clean energy solutions. Gregory believes his case can result in courts ordering similar actions taken by the federal government, which has been bogged down in gridlock. Trump’s own hostility to climate science is well documented and he told reporters again on Monday that he was skeptical of the report’s conclusions particularly as it relates to the nation’s economy. “I don’t believe it,” Trump said. Much speculation has centered on the Trump administration’s decision to release the report on Black Friday, when few Americans were paying attention to the news. Siegel noted the climate assessment and its release is mandated by the Global Change Research Act of 1990, which was not only intended to inform the public, but allow federal agencies to implement policies to help them grapple with a changing climate. “It’s important to note because the federal agencies need to start using it, not just put it on the shelf,” Siegel said. Many legal analysts said it isn’t just Juliana that stands to be bolstered by the government’s report, which comes on the heels of the United Nations’ Intergovernmental Panel on Climate Change report that came to similar conclusions on the urgent need to drastically curtail greenhouse gas emissions. For instance, President Barack Obama used one of the first climate assessments produced by federal agencies as the foundation for his Clean Power Plan, which the Trump administration has tried to dismantle. But Trump’s efforts to thwart Obama-era regulations have drawn lawsuits which stand a better chance of succeeding now that the federal government has concluded human-caused climate change is valid and a grave threat to the economic and environmental health of the nation and the planet.